With an adjustable polymer grip ring that facilitates tactical holds, the Streamlight NightFighter X Flashlight is suited to numerous applications in law enforcement and security, as well as industrial, recreational, and home use. 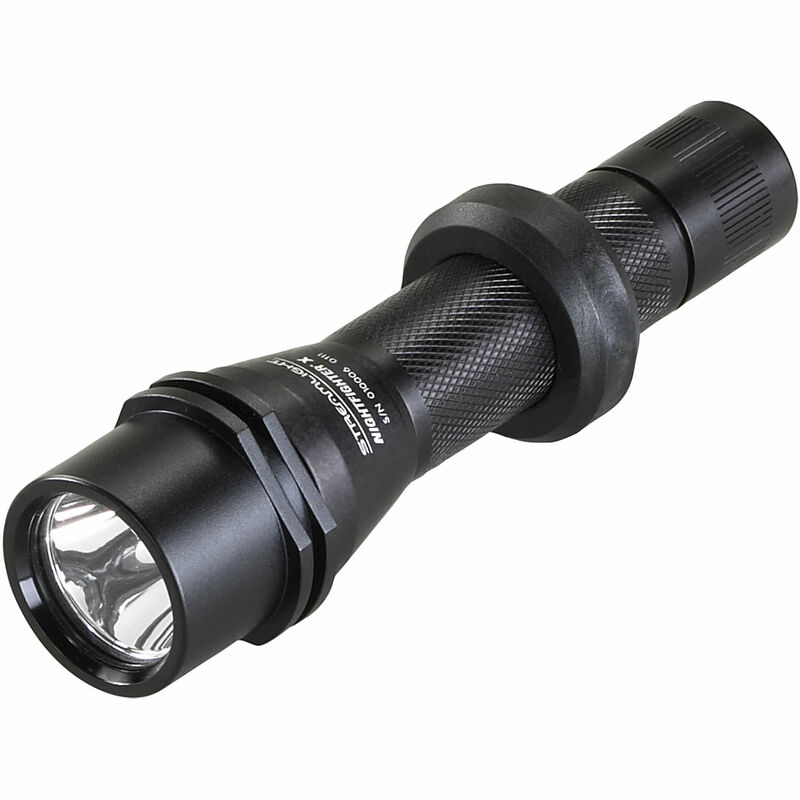 It offers a 200-lumen high power setting, a 10-lumen low setting and a strobe for disorienting an attacker or signaling for help. The tailcap push-button switch permits momentary and constant-on activation. The machined anodized-aluminum housing and high-temperature, gasket-sealed glass lens is IPX4-rated water resistant and impact resistant to 9.8'. The two included CR123A batteries will power the light for 2.5 hours on high or 50 hours on low. This item comes in clamshell packaging.